What a momentus week we have had. On Tuesday 13th February we turned ten. Last rehearsal evening we had a beaut birthday cake and a visit from the local ABC radio station to put down some tracks for an Open Night we are planning in March. The breakfast presenter, David Iliffe is such a good friend to us that some time ago we appointed him as an Honorary member and he was presented with his official HAH badge with all the pomp and ceremony that such an event deserves. The night was also a celebration because we have elevated our Assistant MD, Cameron Ryle to a new position, that of Co-MD with Mike Ludwig. Cameron is one of our popular younger singers and it is a thrill to have him waving his hands out at the front of the chorus (not that we take a lot of notice of him doing so). Some history. 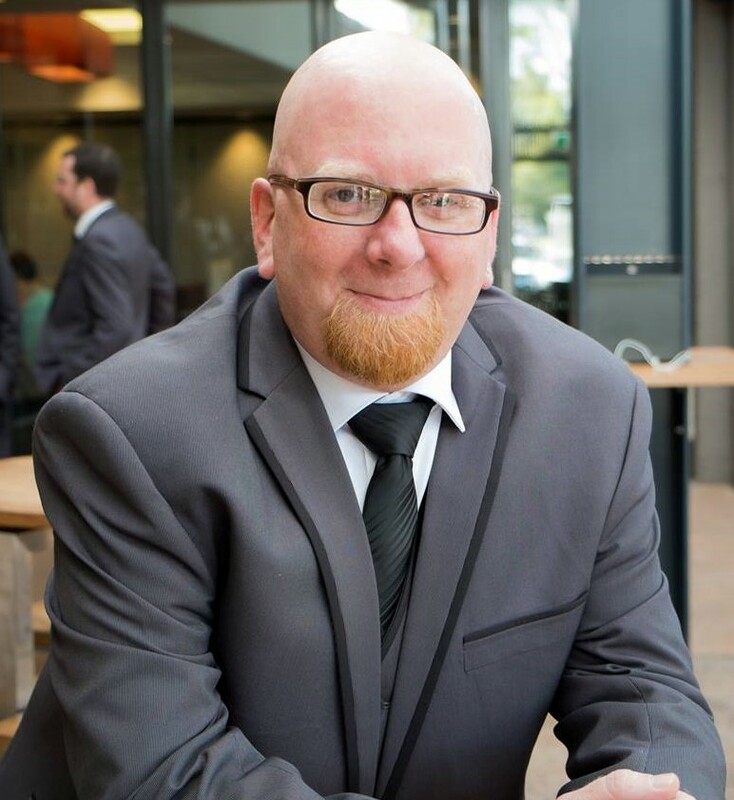 HAH was formed by Mike Ludwig, originally from amongst the teaching fraternity in Toowoomba and surrounds because of Mike’s involvement in education. Obviously we have evolved since those early days but, a strong teacher presence is still part of our chorus. It was lovely to have the only two original members of the chorus, Mike and Peter Devey, our Club President as official cake cutters. 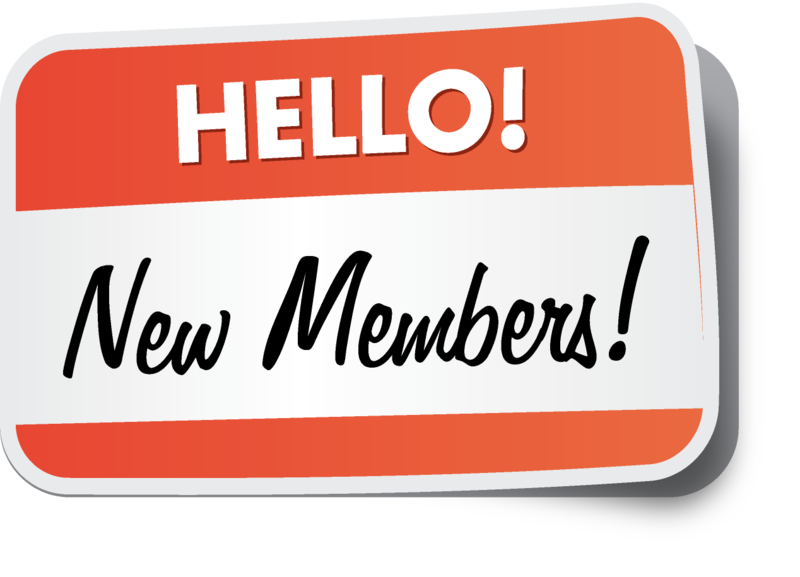 They were joined by five other blokes who joined HAH in our first twelve months. Our Support Team has been very special to us and last evening we were lucky enough to have quite a few of them attend to assist in the jollifications. The year has got off to a quiet start performance wise but, we will kick it off with a singout at a Cancer Council fundraiser on Sunday and the Toowoomba Regional Council’s Summer Tunes program the weekend after. From then on it’s all hands to the music as we gear up for Regionals in April. BIG CHANGES AFOOT FOR THE MELBOURNAIRES. 2018 sees a change of rehearsal venue for the Melbournaires Chorus, after 20 years leaving the Uniting Church in Doncaster East and re-settling in the St Peter & St Paul School also in Doncaster East. The Uniting Church is going to God, so to speak, to make way for a new development. 23 Leeds Street, Doncaster East. The entrance is off Beverley Street and the chorus meets on Monday nights still, commencing at 7.30pm. 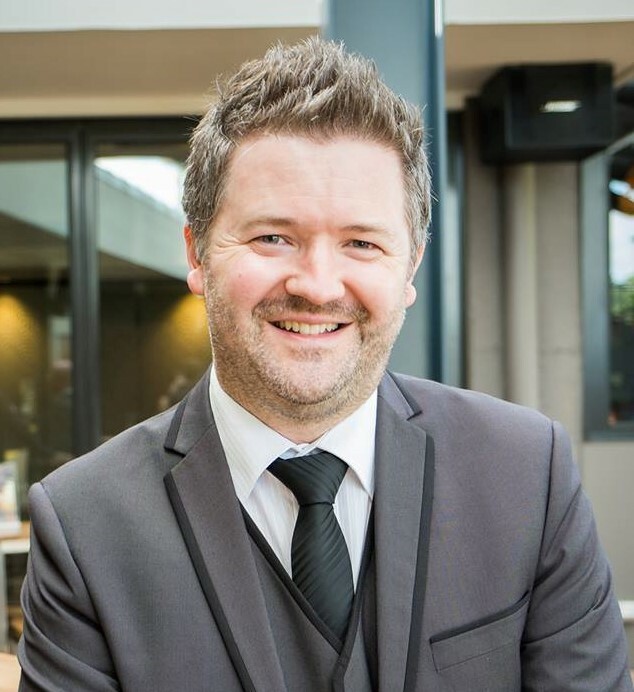 All enquiries should be made to Andrew Wright on 0418 603 673. 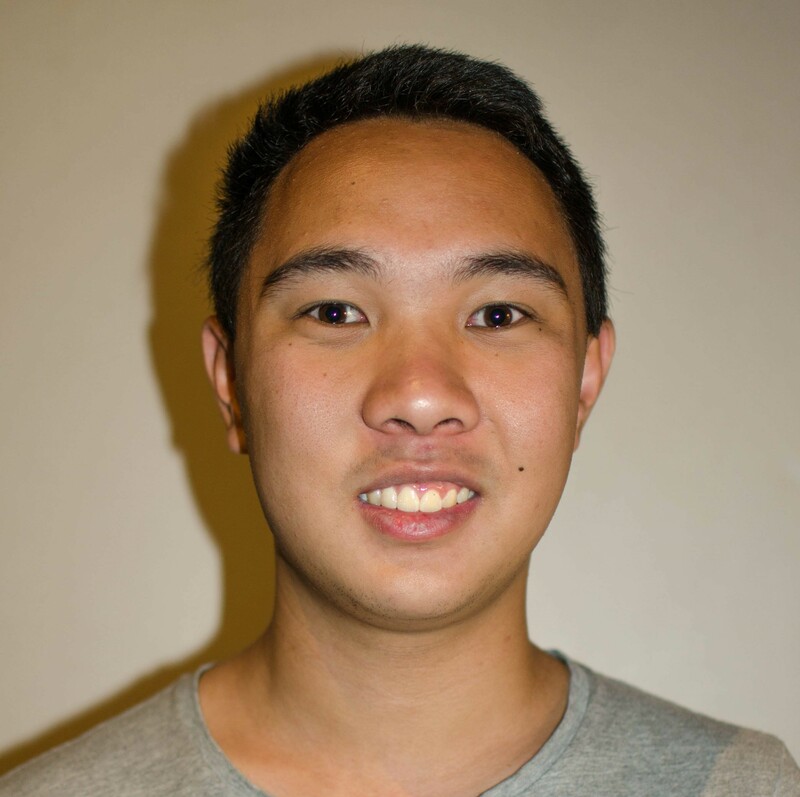 Some other exciting changes are the appointment of one of our younger members, Albert Chow as co-ordinator of our Youth Development Programme. He similarly would be keen to hear of initiatives from other choruses. (abhchow@gmail.com). 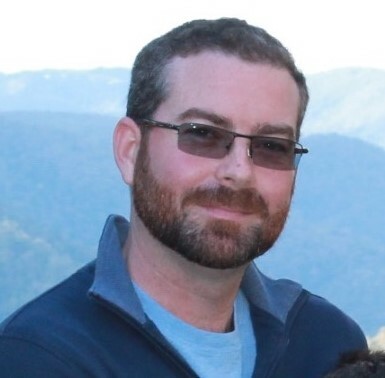 Finally, it is with absolute pleasure to announce the Barbershopper of the Year is Ralph Dodson. Ralph is normally a quiet, unassuming Melbournaire, club secretary and all round dogs body. If anything needs doing, Ralph is the man to step up. Every club should have a Ralph, it makes it easier for others. 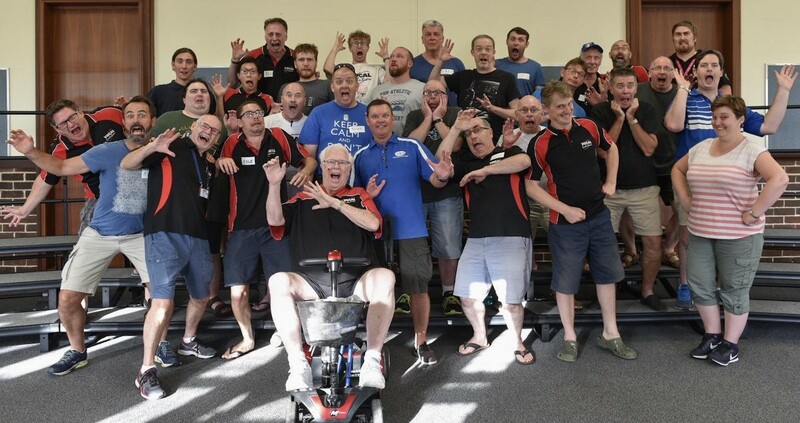 Vocal Evolution started our 2018 Barbershop year with the annual Kickstart weekend, where 30 members of the chorus stayed at the Swan Valley Adventure Centre. The weekend included rehearsals, team building and the introduction of our contest songs! We also discussed as a group VE’s goals for the year, chorus culture and our “why” for singing. It was amazing to hear the very personal reasons of our members for singing and involving themselves in the chorus. 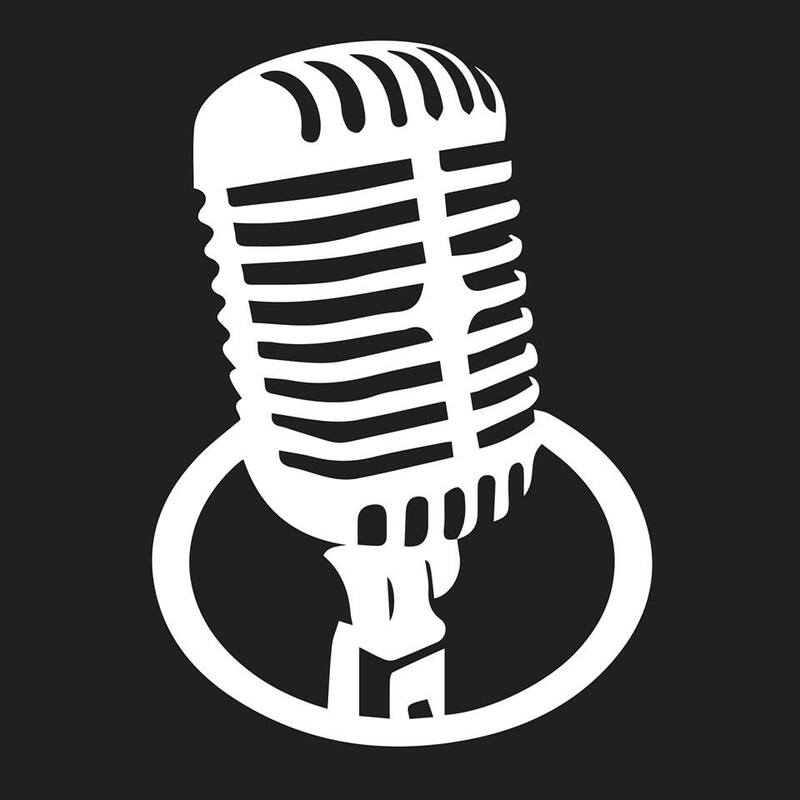 What are YOUR reasons for singing? The New Year also brings change at the helm with Bec Hewitt taking on the role as Musical Director for the chorus. Bec brings her vast experience from within BHA, Sweet Adelines and her international work to our chorus. It was a seamless transition into the Music team working with our AMDs Ash Schofield and Nick Schurmann. Productive discussions have also been held with the Leadership team with many great ideas discussed and plans set for the coming years ahead. 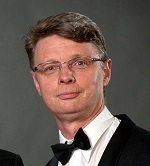 VE would like to acknowledge the contribution of Alex Morris to the chorus as MD over the past years. The impact he has had as a member and MD cannot be measured, and we wish him the best in all his future endeavours. We look forward to sharing Vocal Evolution’s music with our community and (hopefully) on the world stage! Vox Canvas decided to embark on delivering Singing Telegrams for Valentine’s Day 2018. This was based on the experience that Rob Sequeira (Music Director) had while he was singing with Voices in Harmony in California. The idea was to have quartets dressed in suits deliver Singing Telegrams to sweethearts all over Sydney on behalf of their loved ones. The deliveries would take place in homes and workplaces on and around February 14, 2018. Each quartet would present the sweetheart with roses, macarons, a hand-made card and two love songs. We started planning in December 2017 by setting our objectives, budget, examining the logistics of quartet deliveries including travel times, acquisition of roses, production of cards, setting the repertoire, still and video photography and telegram-delivery price points. 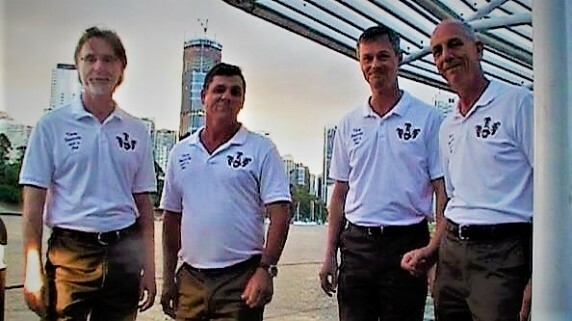 Quartets were formed in January 2018 and learned two songs: My Girl and Heart of My Heart. These quartets had to qualify in front of the music team in order to be certified to deliver the telegram. We delivered a surprise singing telegram to one of the chorus members girlfriends in January and used video from the event to showcase the product. We did market analysis to determine the packages we were going to offer and set price points for each package. We started a marketing campaign in mid-January that included Web, Facebook, fliers, word-of-mouth and internal referrals to drive sales. 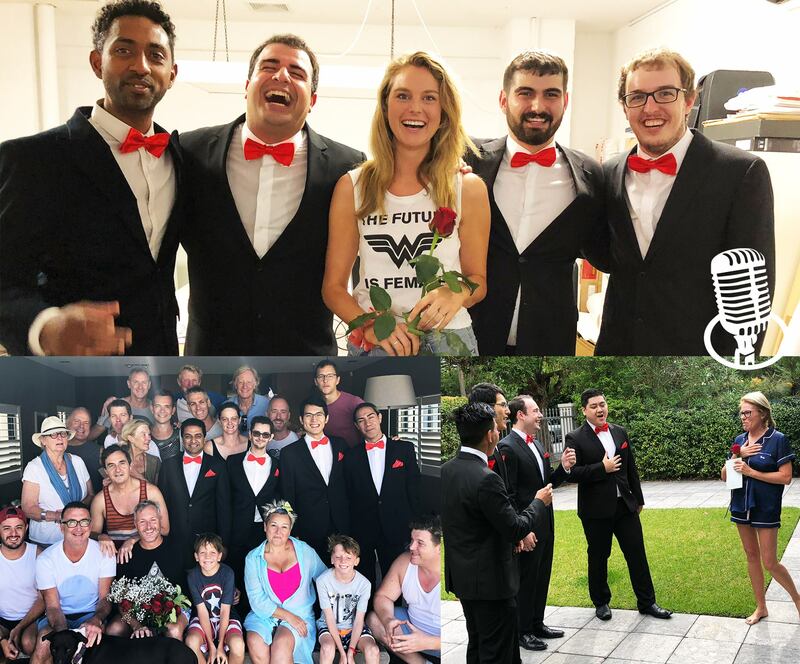 We delivered over 18 singing telegrams over the Valentine’s Day period and brought a tremendous amount of joy to sweethearts around the Sydney metro area. We sang at corporate offices, glass-blowing factories, schools, tennis clubs, shopping centers, medical centers, homes, restaurants and virtually, on the interwebs. One of the goals of the venture was to raise funds to take the chorus to Adelaide for BHA Nationals 2018. We managed to double our fundraising target and we’re planning to keep the service open for birthdays, work-functions, mothers-day and other events during the year. 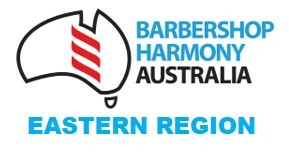 We’d specifically like to thank the Eastern Region for their ongoing incredible support. We’d also like to thank our volunteers who helped with driving us around, designing cards, designing web properties and media. Finally a big thank you to all the Voxmen who delivered the telegrams. We are humbled by the generosity and kindness of our community and were thrilled to be able to give back through a cappella and barbershop singing. December was a very busy singing month for Hills Harmony. We performed hour long concerts at the Christmas parties in several age care facilities and many of the audience members seemed to really enjoy singing along with the Christmas tunes. Lots of smiles and good cheer all round. We spent the two Saturday mornings before Christmas as strolling songsters creating a Christmas atmosphere right across one of our local shopping centres. Five, twenty minute sets in different stage areas, was physically challenging but again very worthwhile, with audiences getting involved and obviously enjoying our Christmas themed music. Or they may have just been amused by the sight of a mob of guys in Santa hats. But, as a result we have already been booked for a gig next Christmas. All our members and their partners turned out for our Christmas Social Evening. 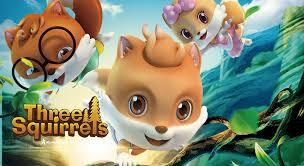 We had a great meal, excellent fellowship and the entertainment, fantastic. We sang some new songs and some old ones for the pleasure of our guests and thanked them for their support throughout the year. 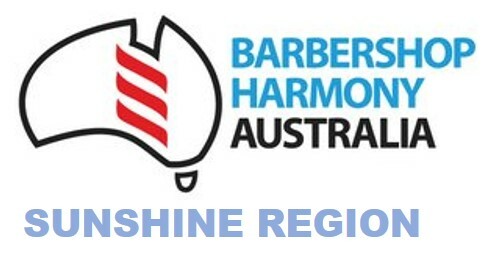 Congratulations to David Farley as the Hills Harmony Barbershopper of the Year. 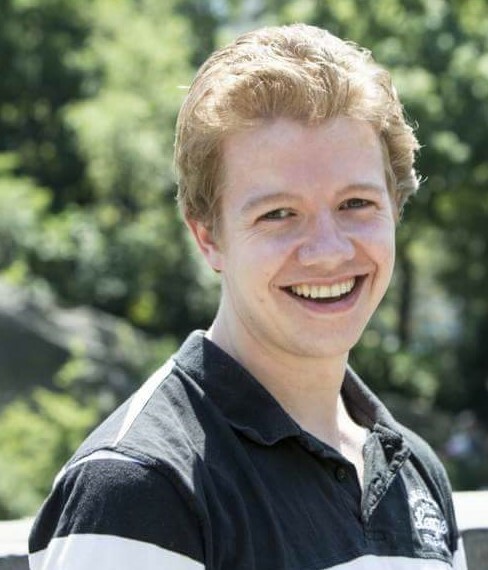 David lends a hand with organising everything, including the National Convention. Peter Garnett was awarded the Club attendance trophy for the year. 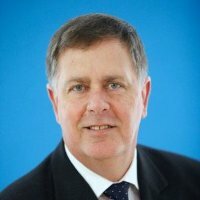 Peter never missed a rehearsal, performance, executive meeting or training opportunity. We can all do with club members like these guys. We are all busy with our learn to sing outreach program. “A Capella for Fellas”. Like many choruses across the state ours is happening early March and running for five weeks. 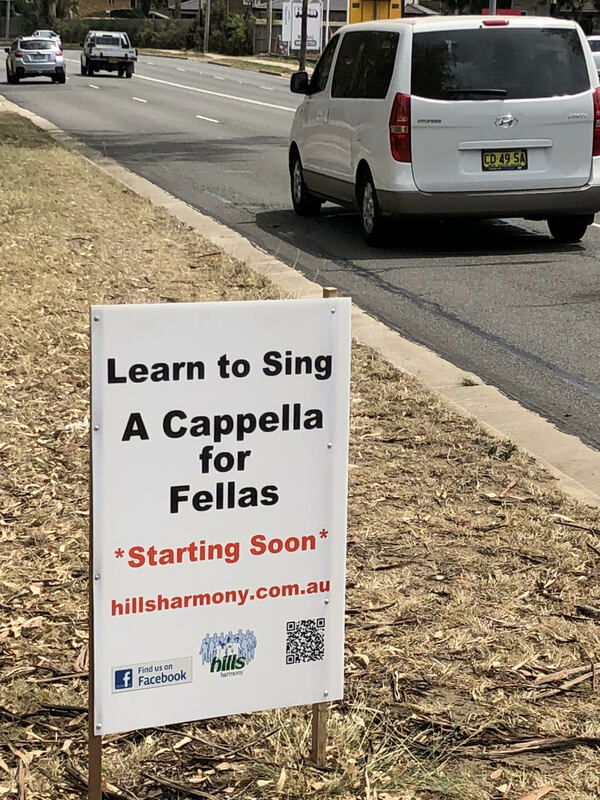 So if you have any mates who live in Sydney’s North West and would like to sing a capella with fellas hook them up with www.hills harmony.com.au. We have had a very busy and interesting start to the year. For our first gig we had a wonderful experience singing as a pop-up quartet for a couple’s marriage proposal. Our stage was the beautiful and romantic location of Kangaroo Point by the Brisbane River. There was a fair amount of subterfuge not only with us but also with the videographer and photographer to enable the proposal to be a surprise, which it was. The good news, she said yes! To gain performance experience under differing conditions we’ve auditioned to go busking in the city’s Queen Street Mall and with a few additional gigs already down in our calendar we’re looking forward to a year of song, fun and camaraderie. Are you an enthusiastic and talented Music Director? Or maybe you’re a singer/musician who aspires to further develop existing music skills and accept the challenge of becoming an MD? 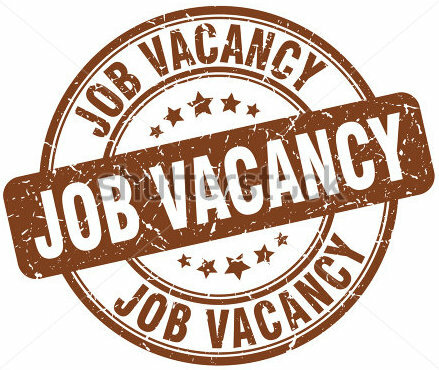 The successful applicant will be well supported by a competent management committee and music team. We are fortunate to be reasonably well resourced and rehearsals are held in a comfortable air conditioned venue at Wembley Downs a leafy suburb adjacent to the beaches north of Perth. If you are an established Music Director or an accomplished musician aspiring to develop as an MD please make contact. Call Ross on 0451305669 and /or email president@meninharmony.com.au All enquiries will be treated in confidence.